Lend a peaceful night's sleep to your infant by bringing these lovely sleepsuits. 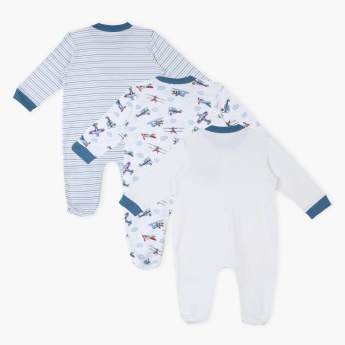 This adorable set of three comes in different styles, embroidered, plain and printed respectively. 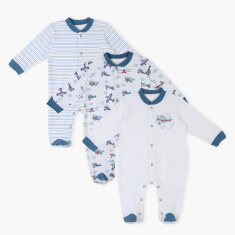 It will cover your baby from top to bottom and provide a snug fit.